A 23-year-old Whitechapel woman killed her partner in cold blood after discovering a small clump of dark hairs on her big toe, an Old Bailey jury was told yesterday. Tracy Ree, a legal secretary from Dock Street, attacked her partner, Toby Dell, 27, a self-employed forklift truck mechanic, with an axe after making the discovery on the evening of June 16 last year. 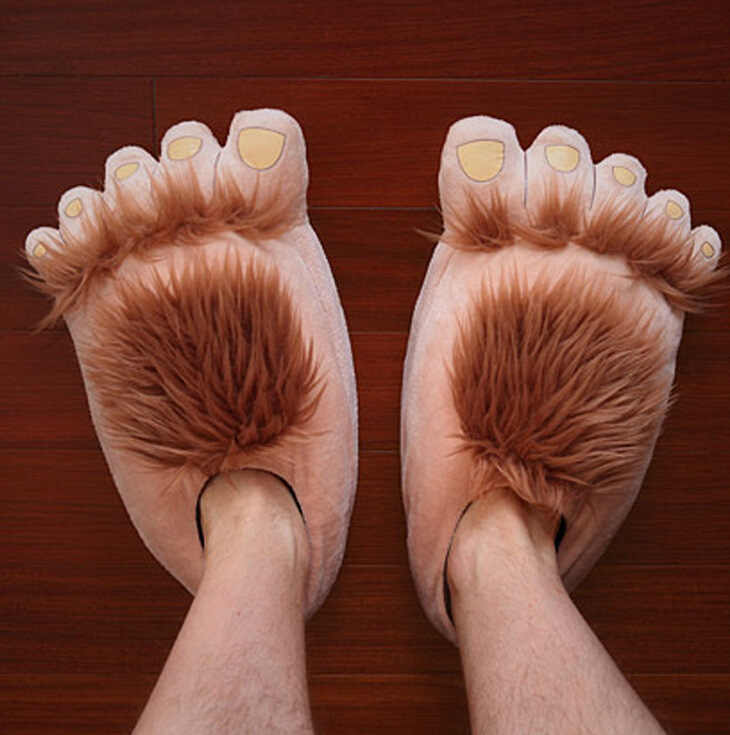 Prosecuting counsel, Carter Shay QC, told the court that Ms Ree had complained to the deceased after spotting the hairs and that he’d made light of the issue, calling her, Big Foot, and, Hairy Mary. The plaintiff then allegedly flew into a murderous rage and attacked Mr Dell with an axe, severing his head and one of his legs. The court heard that Ms Ree then tried to dispose of his body by dismembering the corpse and boiling the body parts on the stove. The cooked remains were then left out in the street for urban foxes and local stray dogs to consume. However, police were alerted when a West Highland Terrier belonging to a neighbour came home with one of Mr Dell’s arms in its jaws. The neighbour concerned immediately called the police after recognising one of Mr Dell’s tattoos. In other news, a 23-year-old woman from Cripplegate in East London was sentenced to a full life term yesterday after a court found her guilty of dissolving her husband in a vat of sulphuric acid after shooting him dead for laughing at her new hairdo. Jew reckon, Touch out of, A Touch of Cinnamon, has got hairy toes, bruv? I do. I reckon her plates of meat are entirely covered in a luxuriant growth of thick black hair! I told you not to mention, Touch. Do ya still love us? Maybe Touch will share a pic.